Men get naked for all kinds of reasons, but this one is quite divine! 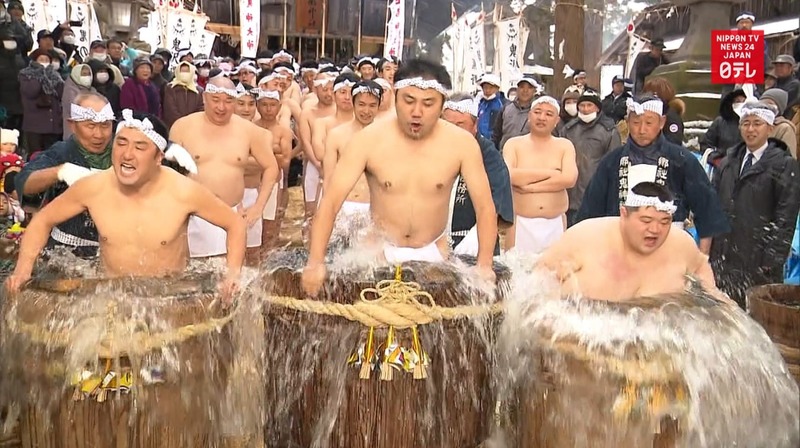 A festival as old as it is strange, Aomori's Hadaka Mairi (literally "to visit a shrine naked in winter") sees some 30 men strip down in the hopes of good health and good harvest. This particular festival in Aomori has a history that's over 400 years old! It has a special place in the hearts of the local community, and men participate even when temperatures dip to below freezing.